Johanna Lucretia is the latest addition to The Island Trust fleet and is the largest of our vessels. 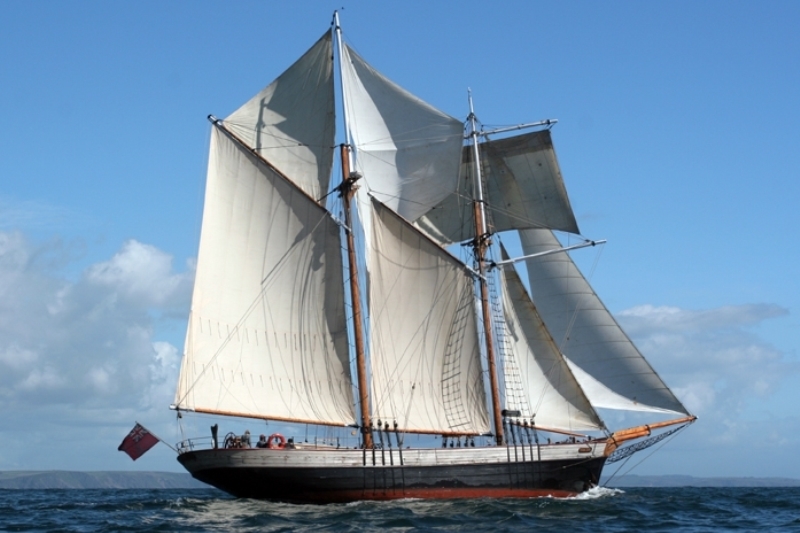 As she is currently the only UK flagged topsail schooner in sail training, she is guaranteed to draw attention wherever she goes. 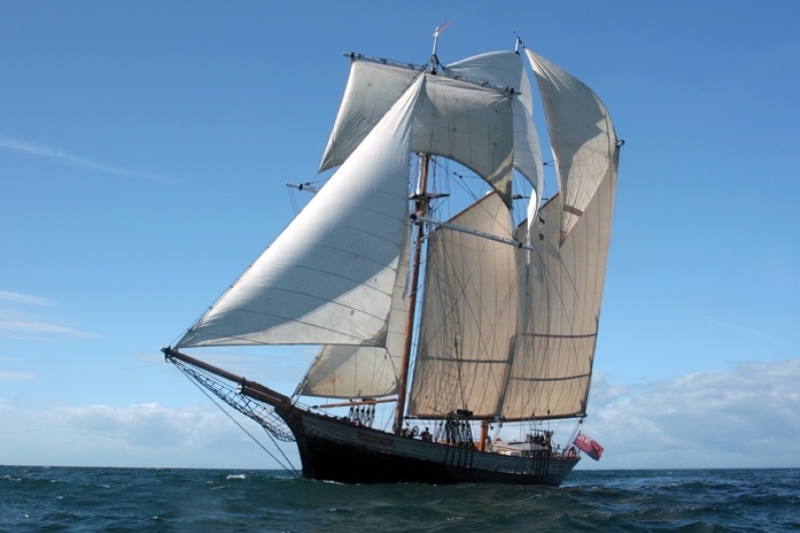 Like our other vessels, Johanna Lucretia is rigged traditionally, with lots of sheets (ropes) to pull for everyone on board and the wide array of sails means that there is plenty for everyone to get involved to sail the boat well. 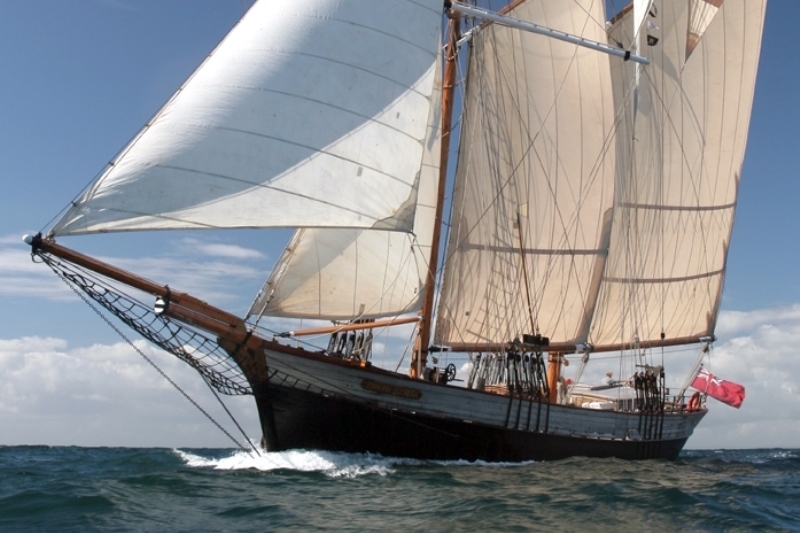 The topsail schooner is arguably one of the most versatile of all sailing rig types, being able to sail quickly close to the wind with her fore-and-aft sails like our other vessels, but also has excellent downwind performance with a square topsail and course. Her spacious decks are ideal for group activities, and her large size, sheltered cockpit and high freeboard mean trainees feel safe at sea. Below deck, she is comfortable and cosy, and the variety of cabin sizes lend themselves well to larger groups where flexibility in accommodation is desirable. In 2001 she changed ownership and for reasons unknown lay abandoned in Gloucester Docks. In 2008 she was arrested by British Waterways for non payment of licenses and mooring dues and was subsequently sold. The new owner carried out a major overhaul and operated her commercially as a charter boat for ten years, sailing mostly in European waters and cruising around the Cornish coast during the summer. 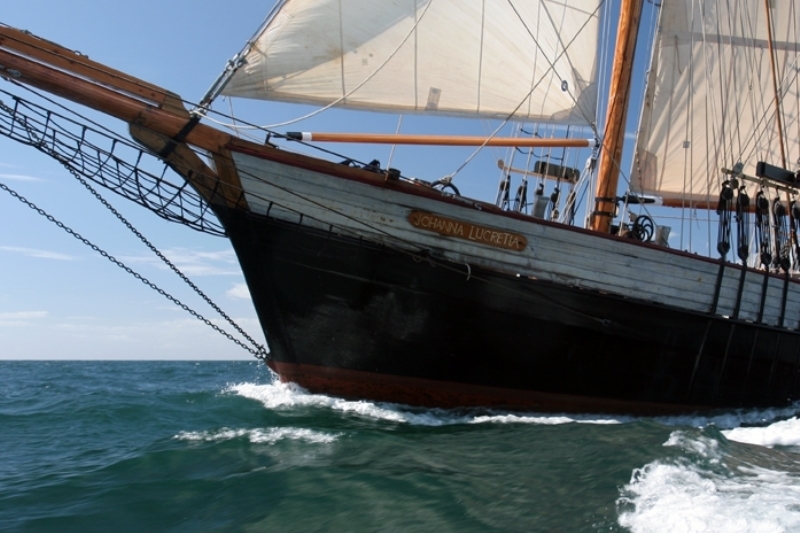 She participated in several Tall Ships races, winning overall on two separate years. She was sold to The Island Trust in 2018. Johanna Lucretia has made a few film and television appearances. In 1978 she took the part of the Medusa in British spy thriller The Riddle of the Sands, set in 1901 it follows the efforts of two English yachtsmen to avert a plot by Germany to launch a military seaborne invasion of England. In 2006 she features in the film Amazing Grace, a drama about William Wilberforce’s campaign to end the slave trade. She also starred in the Irish reality TV show Cabin Fever in 2003, where she replaced the original Cabin Fever ship after it ran aground off Tory Island.